What's the best off-road pick-up truck? Pick-up trucks are used for different things -- some for work, some for leisure. How you plan to use it probably dictates the kind of truck you buy. So the editors at Cars.com and PickupTrucks.com decided to judge the current crop of popular pick-ups for their rugged, off-road capability. Making the final cut were the 2017 Ford F-150 Raptor, 2017 Nissan Titan Pro-4X, 2017 Nissan Titan XD Pro-4X, 2016 Ram 1500 Mopar Rebel, 2017 Ram 2500 Power Wagon, and the 2017 Toyota Tundra TRD Pro. After a set of rigorous tests, the the 2017 Ford F-150 Raptor came out on top. Coincidentally, the Raptor also drove off recently with Cars.com's Best Pickup Truck of 2017 honors. "One of the most popular trim levels for pickup trucks these days are four-wheel-drive, off-road packages," said Patrick Olsen, Cars.com editor-in-chief. "There are impressive options available for drivers who like to take their trucks off-road and use them to their full potential." Olsen said the competition put each truckmaker's top-of-the-line off-road models to the test to help consumers understand the best options. Trucks were judged on things like versatility and value, as well as the quality of the interior. In addition to off-road capability, the vehicles were judged on acceleration and braking and the kinds of things only truck owners care about -- payload and gross vehicle weight ratings. Automotive site Edmunds.com also gave the 2017 Ford F-150 Raptor a glowing review when it reported on its completion of a more than 1,000-mile grueling durability test in the U.S. southwestern desert. 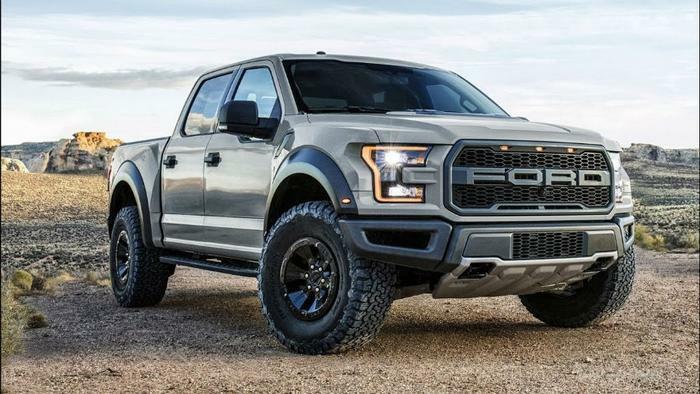 The Raptor is the second-generation version of the off-road-ready pickup. It features an all-new frame, aluminum body panels and a Raptor-exclusive 3.5-liter twin-turbo V6 engine that delivers 411 horsepower and 434 pound-feet of torque. The engine is linked to a 10-speed automatic transmission. In the Car.com competition, the 2016 Dodge Ram 1500 Mopar Rebel finished second. In its review, Edmunds.com practically gushed. It said the 1500 Mopar Rebel had unique coil spring rear suspension that gives it the smoothest unloaded ride. It also praised its "excellent cargo management options and attractive interior package." The 2017 Niussan Titan Pro-4X, 2016 Toyota Tundra XD Pro-4X, and Nissan Titan XD Pro-4X complete the top five. What 2017 vehicles will best hold their value?